This website is designed to provide school-based SLPs, OTs, PTs, nurses, classroom teachers and others with information on addressing swallowing and feeding in their school districts. My goal is for all school districts to recognize their responsibility to address swallowing and feeding and to adopt a system-approved procedure for accomplishing this task. The results of districts adopting comprehensive procedures is that there are the checks and balances necessary to establish and maintain safe feeding practices at school. Swallowing and feeding disorders are complex and addressing them in a “non medical setting” is an ambitious task. Many districts throughout the United States are now successfully providing these services. Hopefully, this website will be instrumental in moving more districts to adopt procedures that help students to be fed safely at school and as a result better access their curriculum. Please feel free to contact me via the Contact page on this website and I will get back to you! Emily M. Homer, MA, CCC-SLP, Consultant, Swallowing and Feeding in the Schools. 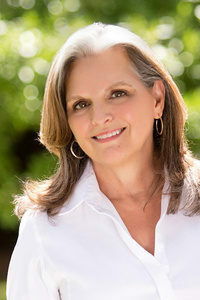 Coordinator of the Speech-Language-Hearing Therapy Program in St. Tammany Parish Public Schools in Louisiana for many years where she was instrumental in starting a swallowing and feeding team procedure. She is the 1999 recipient of the Louis M. DiCarlo Award for the establishment of an interdisciplinary dysphagia team in her school district. Since the procedure was first established, St.Tammany Parish Schools have successfully implemented the Students Eat Safely: Follow the Forms procedure. This procedure has since been shared and subsequently implemented in districts throughout the country! The majority of her 40 years in the field of speech-language pathology have been in the public school setting. She has presented nationally at ASHA conventions, ASHA Schools conferences, and ASHA teleconferences. Ms. Homer has recently published a book, Management of Swallowing and Feeding Disorders in Schools by Plural Publishing, as well as, articles on dysphagia in schools in Language, Speech and Hearing Services in the Schools; Seminars in Speech and Language; The Communication Disorders Casebook: Learning by Example; and Survival Guide for School-Based Speech-Language Pathologists, and Division 13 and 16 newsletters. She has also been featured in the ASHA Leader and Advance magazine. Additionally, Ms. Homer served as the chairman of ASHA’s working committee on dysphagia in the schools.